An easy to use telescopic mast system for high-end compact and SLR cameras. PhotoMop+ is based on a 5-sections telescopic pole with a maximum length of 6,35 meters (21 ft). The pole with the rig is light so it can be handheld and easily moved into the desired position. The rig itself is made of glass fibre reinforced plastic, a base material that perfectly suits the conditions. On many occasions the archaeologist wants the camera to point straight down. In order to achieve this, the tilt platform of the rig can be adjusted to balance it around the virtual tilt axis. 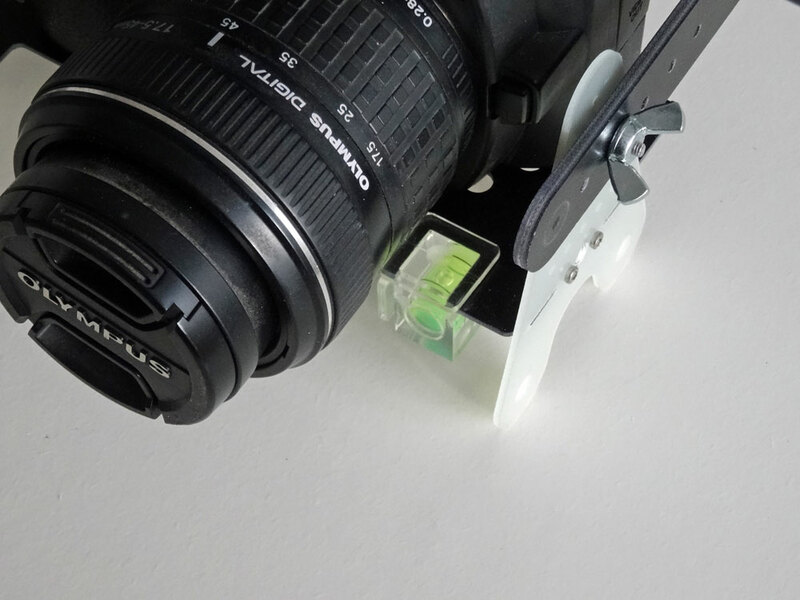 To check the balance the base on which the camera sits is fitted with a bubble spirit level. To keep the camera in the right position the rig can swing on the attachment point to compensate for the angle in which the mast is held. For oblique or horizontal views (e.g. for facades) the camera platform can be infinitely variable set at other angles too. To make the pole stiff and light at the same time it is made of a carbon and glass fibre mix. The clamps on the pole can be operated with one finger and are shaped in such a way that they wouldn't pinch your skin when collapsing it. The total length of the mast can be adjusted. Longer poles are avialable. Please ask us! 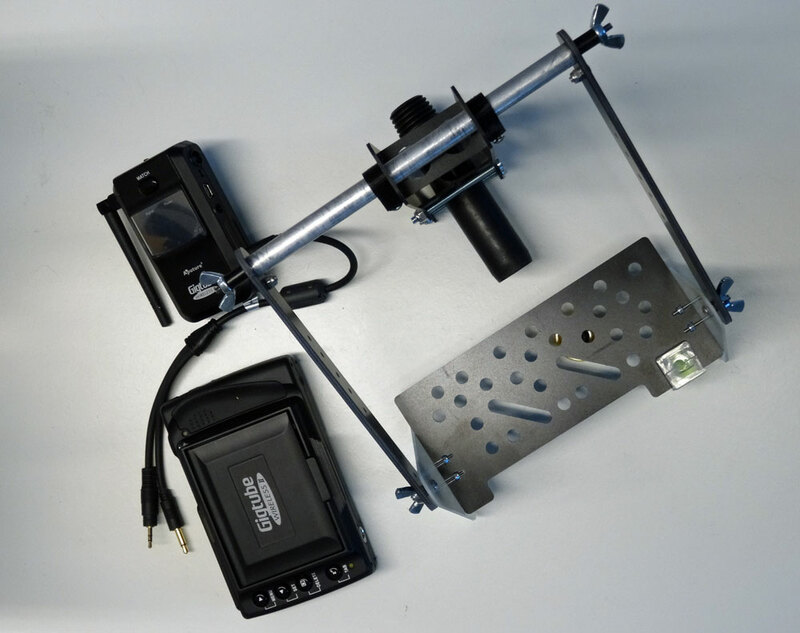 Camera control and video downlink can be done in different ways, depending on the camera you would like to use with the PhotoMop+. For Canon and Nikon (and some Sony) dSLRs the PhotoMop+ comes either with a Aputure Gigtube Wireless II or with a small mobile WiFi router integrated into the rig to fully control the camera from your tablet or smartphone. The Gigtube can be modified by us to be used with many other cameras too (e.g. Ricoh GR, Canon Powershoot or Ixus with CHDK). Please ask what the options are for your camera if it is not a Canon or Nikon dSLR. 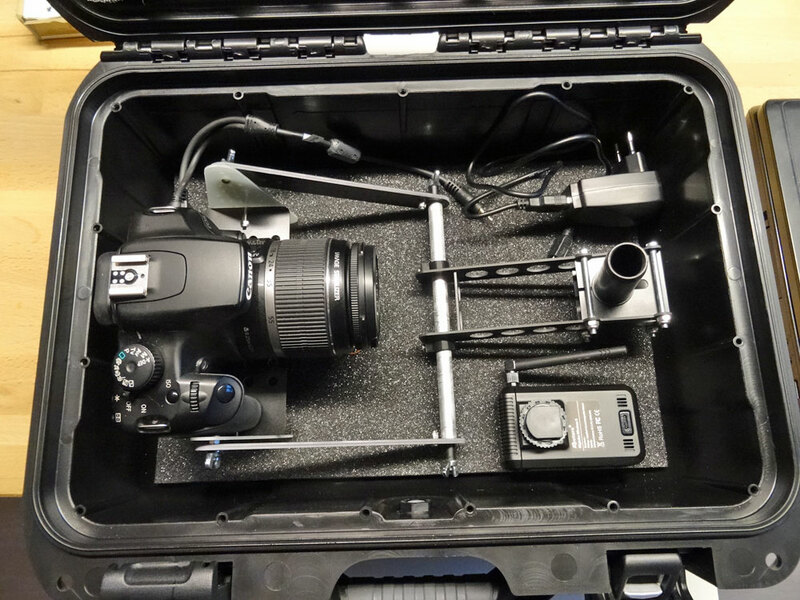 Optionally a quick release plate is available (comes in handy if you need the same camera to photograph other situations) and a Nanuk 915 case to store and transport everything but the mast. Reach: 6,35 m (21 ft)	closed length: 1,53 m	weight: 1,3 kg. Weight for the empty rig: 345 grammes. Hint: the PhotoMop+ can also be used indoors for inspections of old buildings like churches and castles. If you use a waterproof camera like the GoPro Hero you can even take underwater pictures without getting wet yourself. This product was added to our catalog on dinsdag 24 maart, 2015.